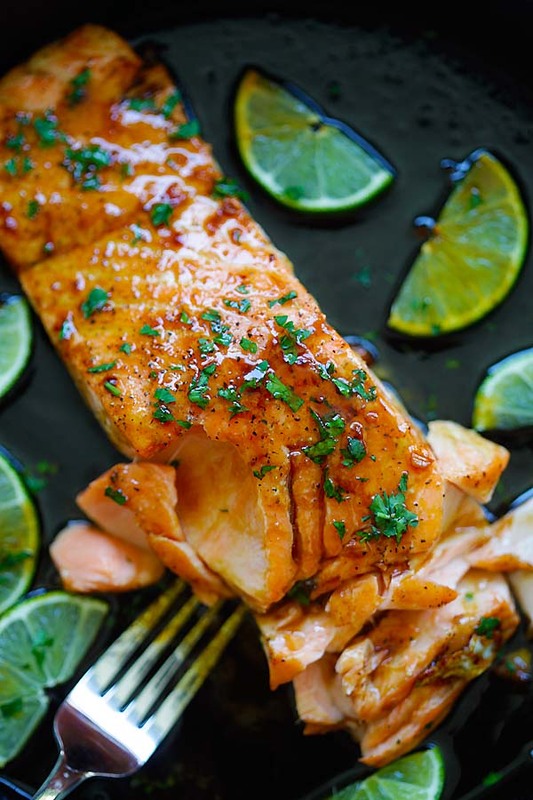 10 Salmon Recipes You've Gotta Make Sometime Soon! 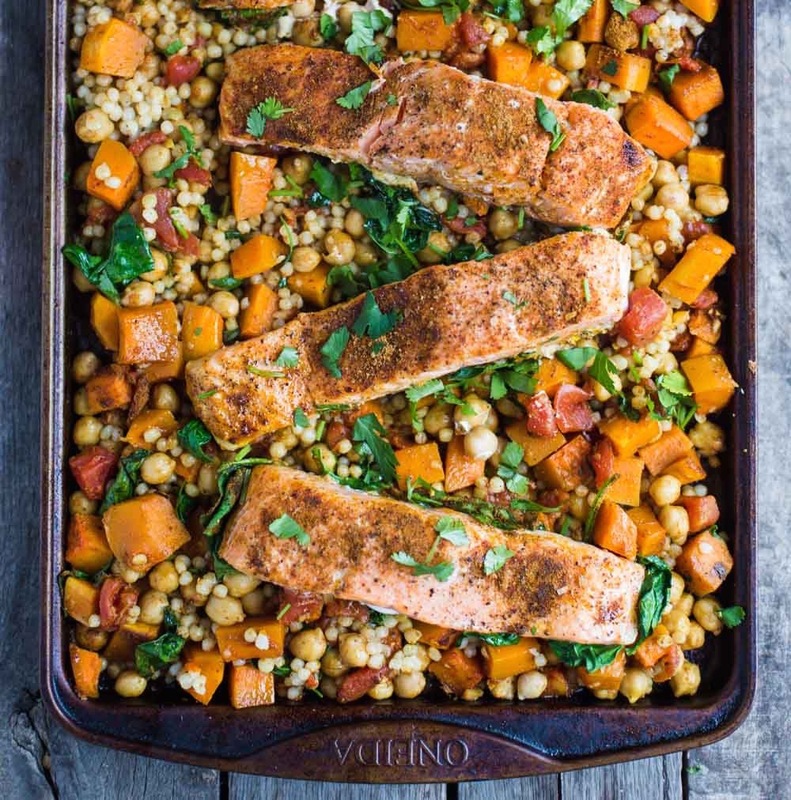 Just one pan stands between you and this complete meal. 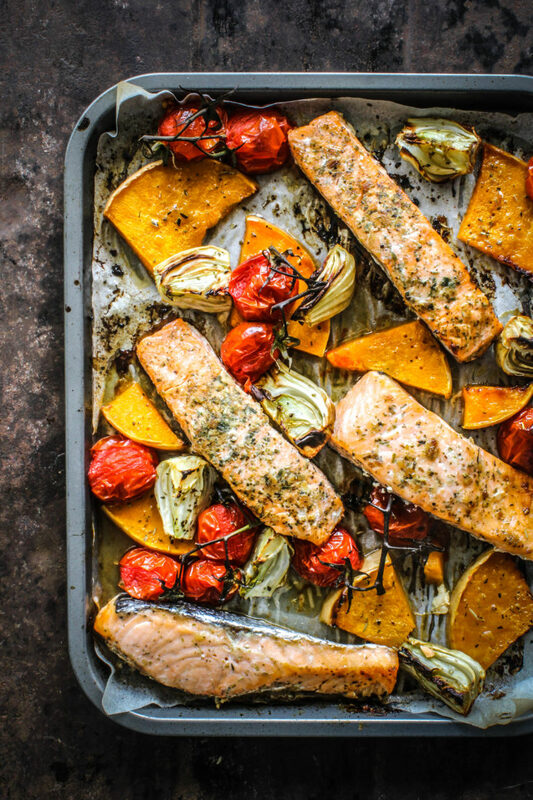 Here are 50+ More Meals You Can Make With One Pan! Feel free to substitute with whichever veggies lingering in your fridge. A long day deserves tacos! 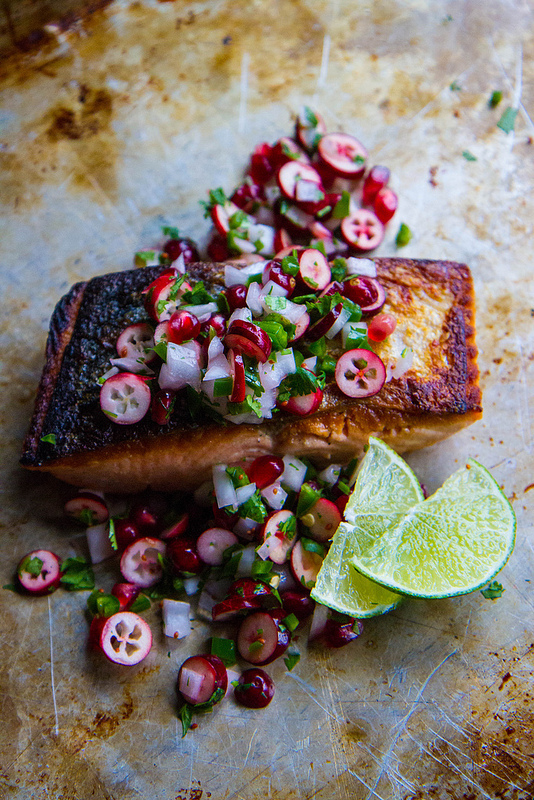 The vibrant salsa is made with fresh cranberries, pomegranate, spicy jalapeños, cilantro & onion. 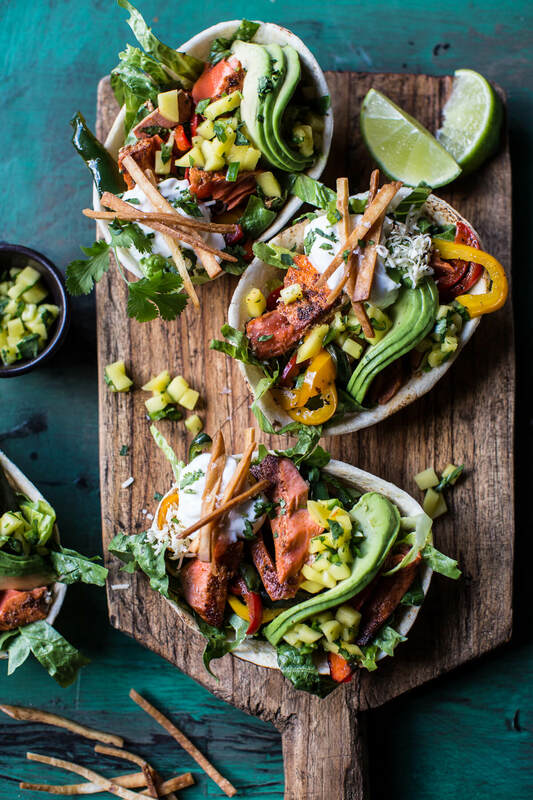 These clever salad boats are served in a tortilla shell. 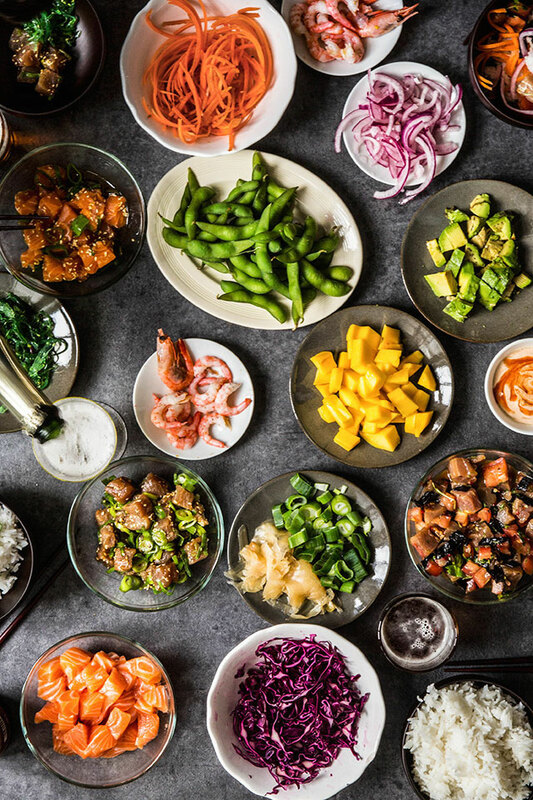 Entertaining this weekend? Head here for more recipes! 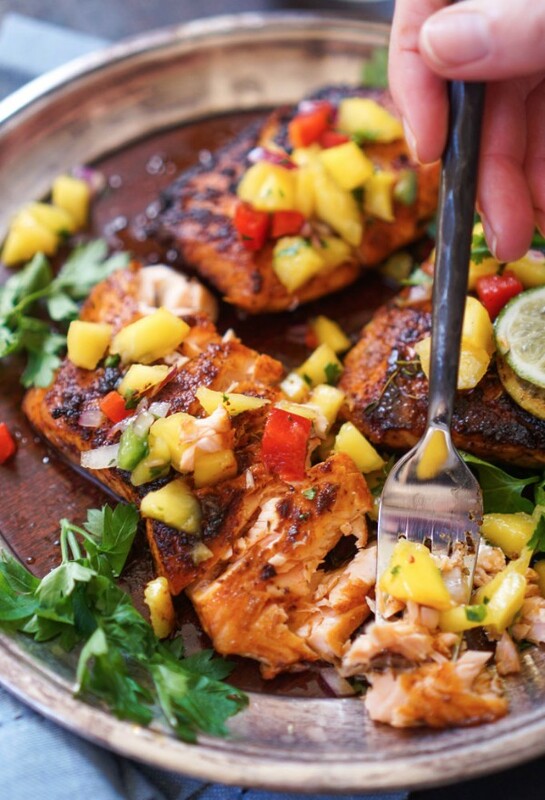 This fresh, light salsa will have you dreaming of warmer weather. 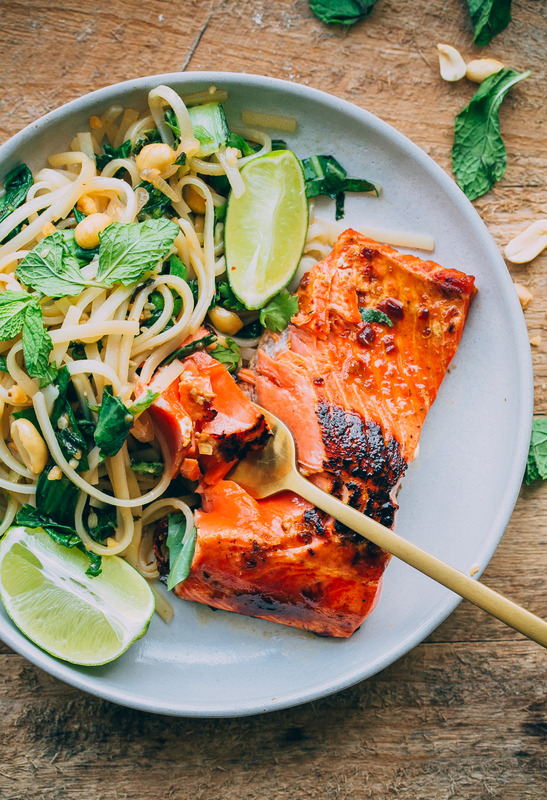 Sockeye salmon pairs well with a peanut, lime, cilantro & basil noodle salad. 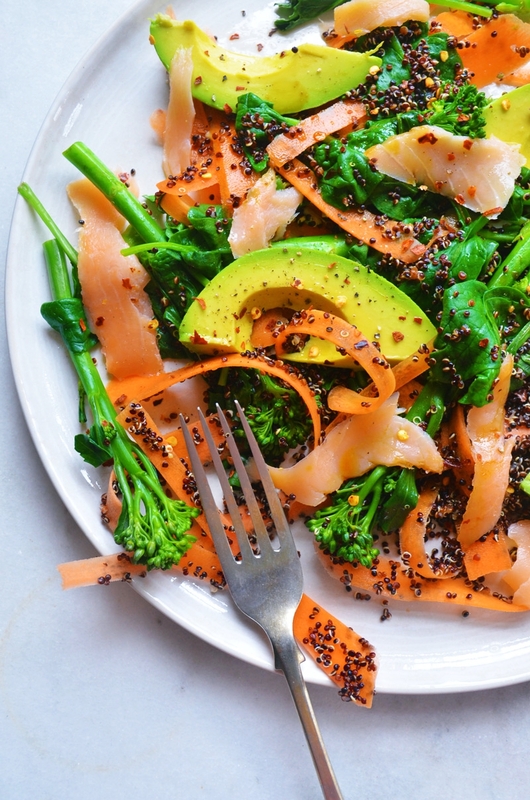 Want More Salmon? 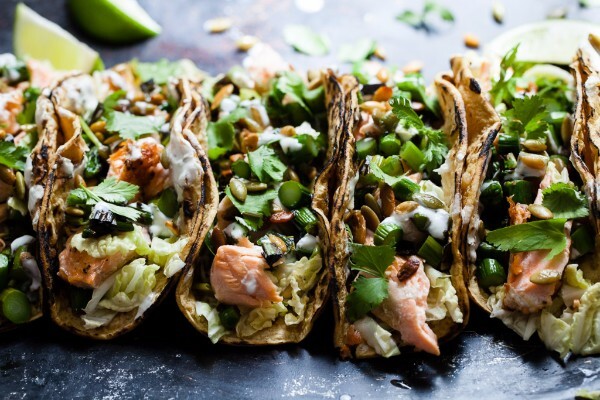 Check out the Salmon Feed On Our Website for 50 more amazing recipes!